Connecticut doesn't have the most aggressive drivers in America, but you better keep your eyes peeled and your middle fingers down! If you’re planning a road trip this summer you may want to consider who your fellow road-goers will be before filling up that tank and hitting the highway. 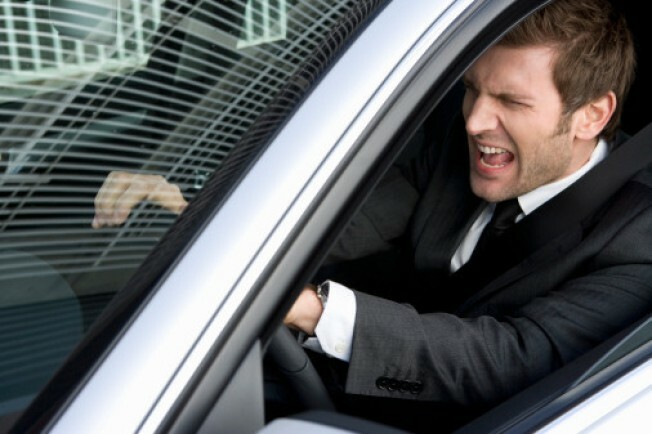 AutoVantage revealed its fourth annual “In the Driver’s Seat Road Rage Survey” and has determined which U.S. cities generate the angriest (and most courteous!) drivers in the nation. "This survey is another way we assist drivers by revealing the latest driving trends and attitudes to educate and influence safer—and perhaps more courteous—driving habits,” said Brad Eggleston, vice president of AutoVantage. So…fasten your seatbelts folks and let’s take a look at our nation’s angriest roads! After 2,518 telephone interviews in 25 metropolitan areas, the road rage capital of America is…dun du du... New York City! Tailgating closely behind (maybe a bit too closely if you ask me) are Dallas, Detroit, Atlanta and Minneapolis. As for the most well-mannered drivers, polite Portland ranks number one followed by courteous Cleveland, Baltimore, Sacramento and good old poised Pittsburgh. Although this is a list that Connecticut residents should be proud NOT to be a part of, there are still plenty of temper tantrums that shouldn’t be taken lightly. In early June, Naugatuck police arrested Christopher Hustek in a Wal-mart parking lot on Route 63 where he pulled a .40 caliber handgun on another driver and his passenger, a 21-year-old male and 19-year-old female. Hustek claimed they had apparently cut him off. So here’s a little piece of advice Connecticut: Next time you feel so angry that you might blow your top off, just try opening another top ...like your sunroof.